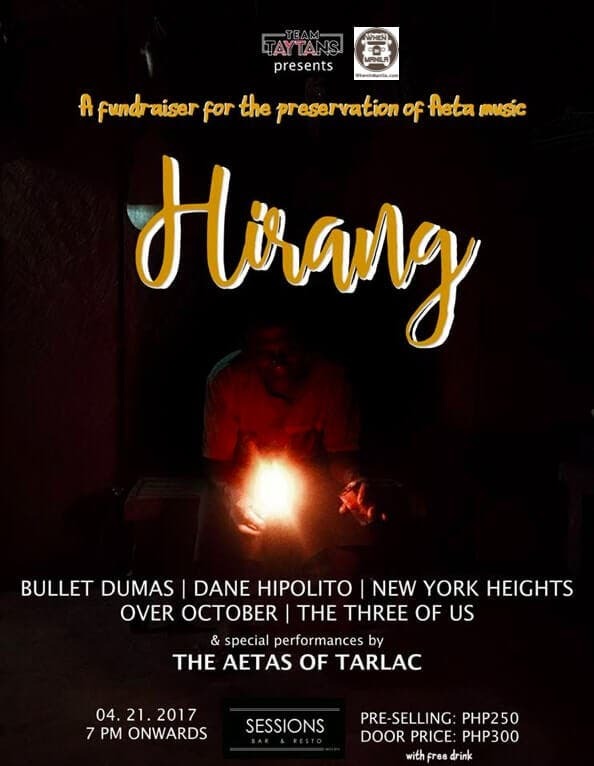 Hirang is a gig featuring musicians like Bullet Dumas, The Three of Us, Over October, New York Heights, and Dane Hipolito. It aims to raise funds for the preservation of the music of the Aetas of Tarlac. The project, called Original Original Pilipino Music (OOPM), aims to revive and enrich the musical traditions of Aetas of Tarlac through the documentation of their indigenous instruments to later craft a workshop that involves reintroducing this part of the Aeta culture and tradition to younger generations. The Aetas love to dance, more so when there’s music, thus making music an integral part of their culture — if there’s no music, there is no dance for them. However, due to urbanization, the Aetas tend to disregard their culture and focus instead on working in order to send their children to school. The project will look into how the Aetas craft their instruments. 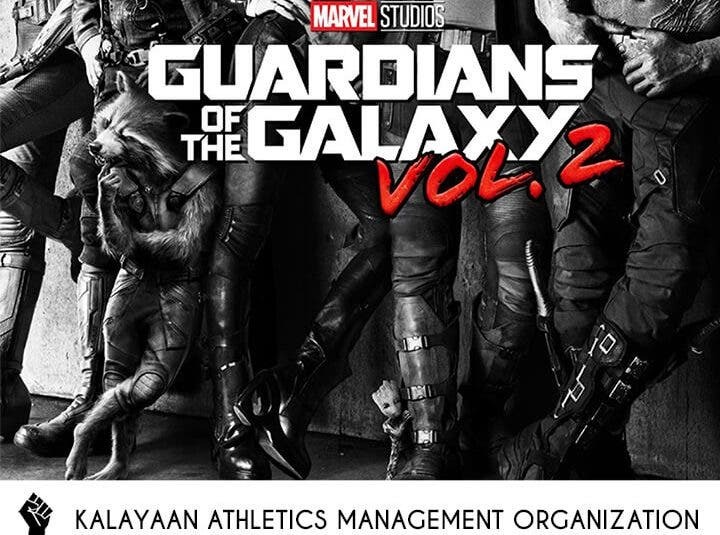 As music is an integral part of the Aetas’ culture, its documentation and transmission to younger generations would further help in strengthening their Certificate of Ancestral Domain Title (CADT) claim.